Firstly, a gorgeous cream silk Joseph shirt, priced at £30 - a great neutral for wearing over coloured jeans. Next up was a Diesel knitted tunic which was sadly too big for me. Great colour though. Next, some Miss Captain items. 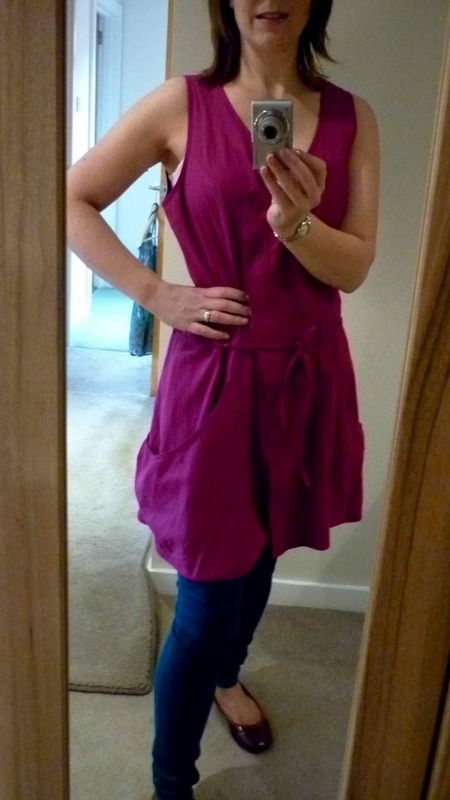 I loved the plum linen dress/tunic as it's one of my favourite colours but could have done with a size smaller. 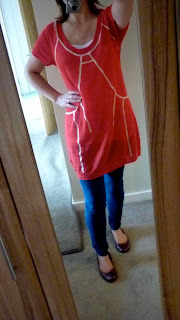 I originally dismissed this neon jumper on the hanger but when Sharon insisted I try it on, I was pleasantly surprised. It's bright and summery yet lovely and cosy...perfect for this rubbish weather! Some more Miss Captain. 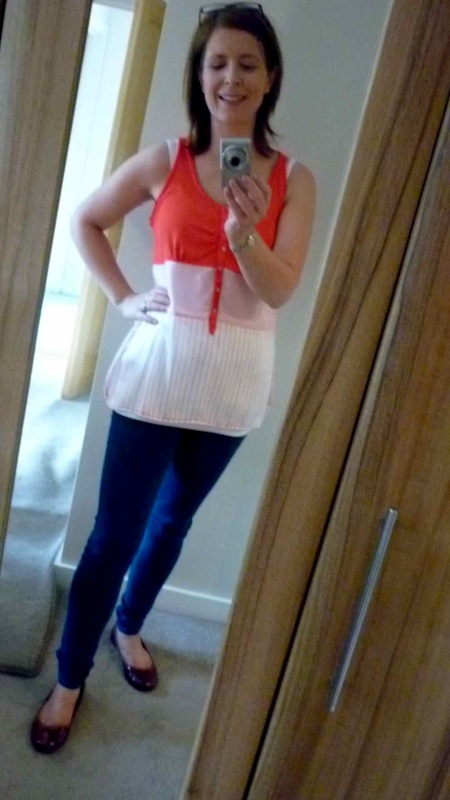 The vest on the left is stripy on the bottom (in a silky material) and has a jersey top. It comes in grey also and is a really lovely basic. Then, the orange dress. 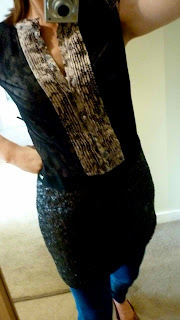 Another one that Sharon made me try on and I really loved it. 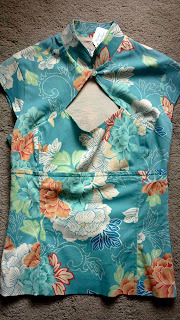 It's got an unusual hem detail and I was surprised at how good the colour was on me. The minute I put on this off-white boucle jacket, I knew I wanted it. 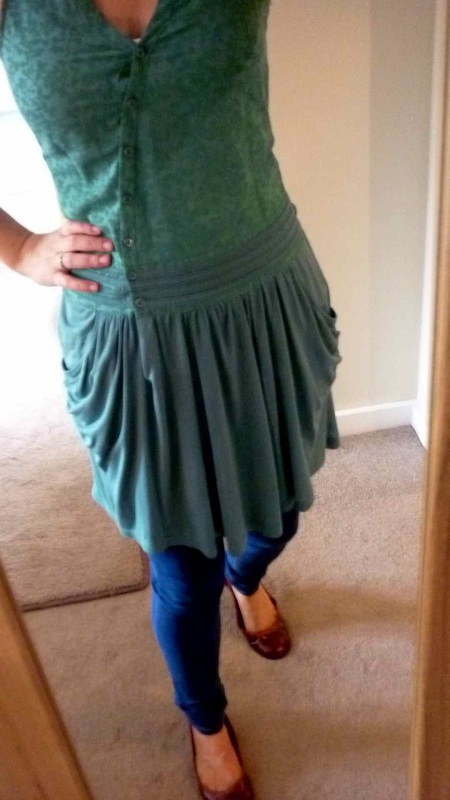 Perfect fit, can be dressed up and down and looked amazing with jeans. You know I love a great jacket and this ticked all the boxes. It looked as good as new and was just £30! The green dress is another of the Miss Captain range. 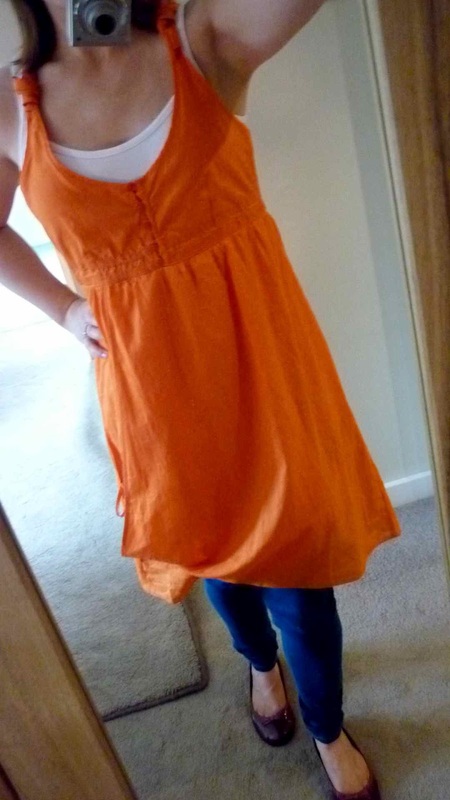 Great colour - a little too small for me but I loved the asymmetric detail. 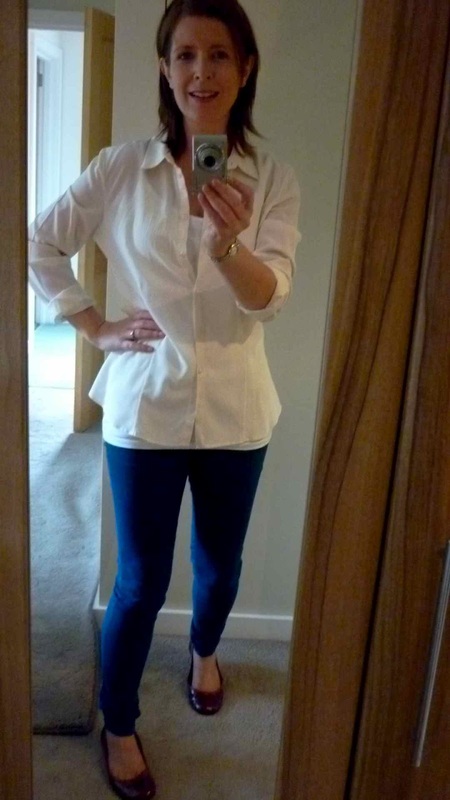 This Karen Millen top is a size 10 but I would guess it's closer to a 6-8. It was not going anywhere near me but I loved the colour and detail so much, I had to take a picture. Finally, the black dress is really hard to explain. It's got a sequinned skirt, and a more silky top with buttons to the front. It was amazing on and at £55 was a bargain for a piece with so much gorgeous detail but as you can tell, I already had my eye on a couple of pieces so I reluctantly put it back. Did I buy anything? You bet! I did some wheeler dealing with Pearl and took away a few items which I cannot wait to show you on the blog in the next few days! 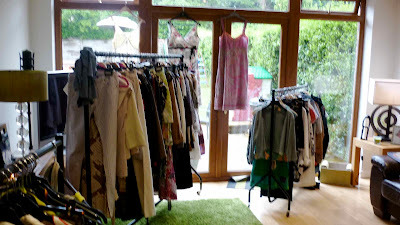 If you like any of the gently used item on this post or if you're a fan of getting designer items at a bargain price, pay a visit to George's Market on Sunday and tell Pearl you saw her on my blog! If you're not in the Belfast area, you can email Pearl at pearlmcroberts@yahoo.com for more details or to buy. For the Miss Captain items, Pearl can also sell these via email or if you're local, she can come along to your home, school or workplace and do a Miss Captain party in the evening or during the day (you get free clothes if you do a party!). Send her an email for more details. 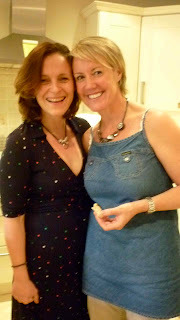 Pearl (right) & her sister in law Cathy, at today's party! What a fabulous way to spend the morning! 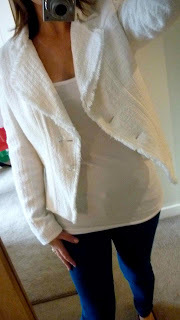 I love the white boucle jacket...it looks great on you! Have a lovely weekend! Great ideas for clothes shopping. Loved the orange dress on you, and the amazing white jacket. Ooooh, love that White jacket too! And something you will get some wear out of in this weather, unfortunately! 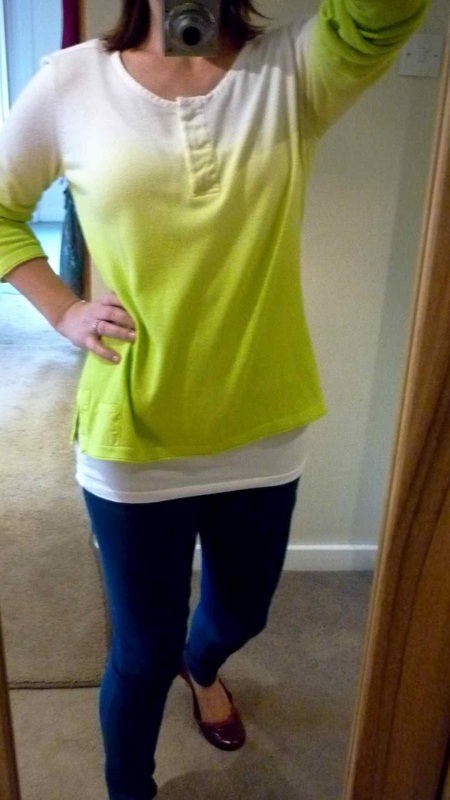 Neon Ombre is my favourite too, not something I would usually go for but looks fab on you. Inspiring!